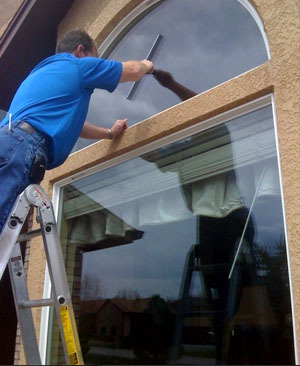 Are you in need of a quality window cleaning or gutter cleaning service in the New Hope area? If so, you’ve come to the right place. At New Hope Window Cleaning Service, we service all of Bucks County and Montgomery County. We are proud to have serviced more than 500 customers in New Hope in the past 10 years! Give us a call for immediate service at 215-794-5300. New Hope Window Cleaning Service Owner Otto Alber has more than 39 years of experience cleaning windows and gutters while providing a high standard of service. He started the business in 1979 because he saw a need to improve the reliability and credibility in the cleaning industry. Based on this commitment to make a difference, Otto has assembled an extensive, loyal base of customers throughout New Hope and the entire Delaware Valley area. Many of his customers have been with him from the beginning and today still rave about the consistent high level of service. Some of the accolades have the following points in common: punctual, neat, friendly personality and top-notch service. Gutter cleaning is something that is important and essential, and no matter how much knowledge you have and what tools you possess, you should leave it to professionals. If the gutters of your New Hope home are clogged, the efficiency of the entire system is reduced to a large degree. The results can be adverse, as you find water in rains flowing over the front of the system or even behind the gutter. Sometimes, the damage can be to the extent that water can flow back into your home and even damage your foundation. We also offer a top-of-the-line gutter guard system called Leaf Relief. It keeps your rain gutters free of natural debris such as leaves, pine needles and twigs. Another benefit is that Leaf Relief protects against small animals nesting, as well as insects breeding. Your gutters will never clog, thus preventing rainwater from flowing over windows, doors and siding, which can rot fascia boards as well as window frames.